Jesse Hartley was born in Pontefract, Yorkshire, and trained first as a mason. Although he later expanded his skills into engineering and architecture, this was to influence his building style for the rest of his life. His approach to architecture was almost scientific. Contracted to build ‘new warehouses on the south side of the Salthouse Dock’ he first built models at the Trentham Street Dockyard nearby to test his designs. He closely specified the quality of bricks which were to be used, established his own stone quarry in Kirkmabreck, Scotland, and built the Oak, a coaster to bring the stone from this quarry to Liverpool. 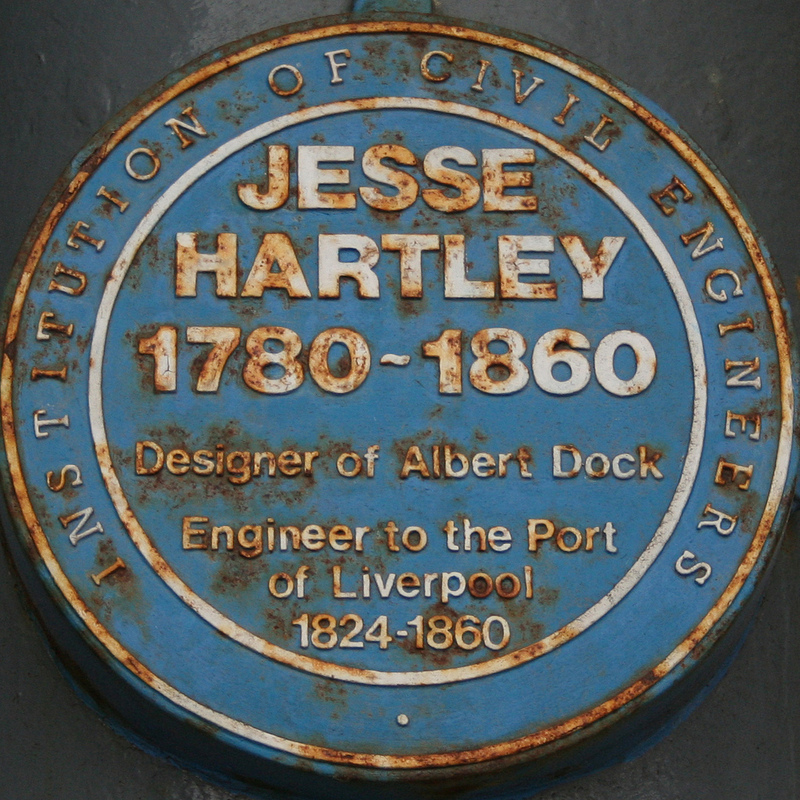 The Albert Dock is Hartley’s most famous legacy, and displays some of his revolutionary ideas. Among his breakthroughs was the use of sheet metal below the timber floorboards. This design which could withstand fire for 40 minutes unchecked, and was influential in future developments of the dock estate, as well as fireproof mills throughout Lancashire. The dock was one of the first in the world to have warehouses right at the waters edge. Dock gates kept the water at a constant level whatever the tide, allowing ships to berth at high tide, unload straight into the warehouse, and leave as soon as the water level in the river allowed. In addition, the Albert Dock warehouses were ‘bonded’ warehouses, which meant that customs dues were not paid when cargo moved from between boat to quay. Instead they were paid when stock was moved out of the warehouse, so further decreasing the time a ship needed to wait in port. Unloading ships into the Albert Dock was a streamlined affair. Many of these buildings show Hartley’s signature ‘cyclopean’ architecture. This involves using massive pieces of stone as the bulk of the wall, with smaller stones hand-shaped to precisely fill the rest (see links above). The colossal boundary wall seen all the way down Regent Road was also Hartley’s idea – in this case to reduce theft. Hartley also designed a dock-wide railway system, to transport goods around and also to help in the building of new docks. He designed improved gates and locks at the Liverpool end of the Leeds-Liverpool Canal. He also designed lighthouses, chain pumps, mills and beam engines. He was a true multi-skilled engineer. When the City Council attempted to demolish the Albert Dock after Blitz damage they found that, due to the solidity of the place, the job would have been too expensive and lengthy. They decided to leave it in place – to be restored decades later. 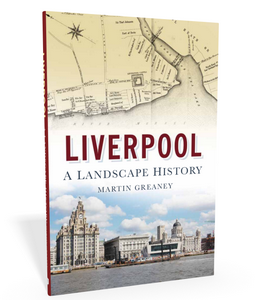 So not only did he change the face of Liverpool; his works continued to influence the shape of the city’s regeneration in the 1980s, and arguably into the new millennium. Would there have been enough foot traffic at the Pier Head to warrant the Echo Arena, the new Liverpool Museum or the Leeds-Liverpool Canal extension not Hartley’s monumental architecture given a canvas on which to paint the revival of the city? Would Liverpool One have been possible (or even necessary) without the docks to act as a second centre of gravity in the city centre? Hartley’s contributions mean we can never forget our port heritage. Of course, it’s possible to see the opposite as true: the Albert Dock is no aesthetic masterpiece. Had Liverpool managed to break free of the weight of the docklands perhaps the focus of attention would not have been split between the river-front at one end and St. John’s Market at the other (and London Road beyond). 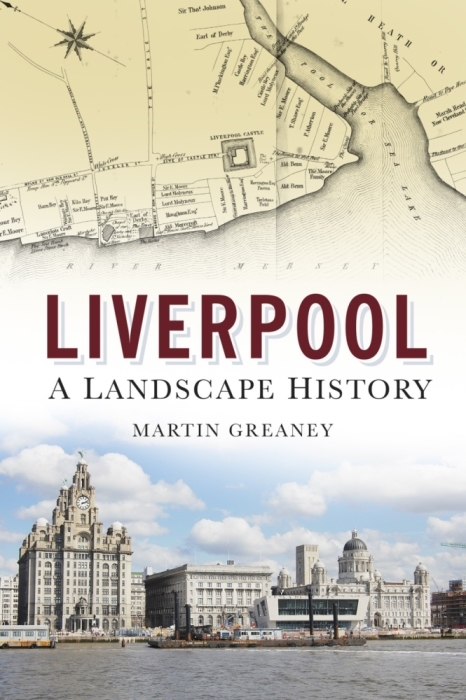 But whether you see him as a boon to Liverpool’s past, present and future, or a historical albatross around the neck of Liverpool, preventing coherent regeneration (or both), there’s no doubt that Jesse Hartley changed the face of the city he found. He left an architectural legacy that still shapes the way we feel as a port town, and the discussions about how we shape the Liverpool of tomorrow. Image: ‘jesse hartley‘ by lizjones112, released under a Creative Commons Attribution license.